Remember how they couldn’t say the Lucy was “pregnant”? And how the Ricardos slept in separate beds? The comic book was a little sneaky. 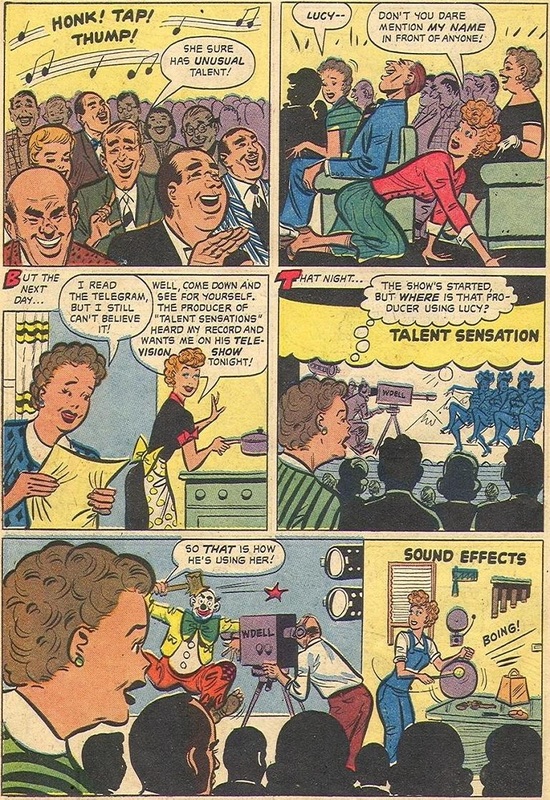 In the panels below, we see two headboards and a table between Lucy and Ricky but despite the twin blankets, these panels sure seem to imply that they are in one bed. But we are not here to talk about comic books, this is a newspaper strip feature. 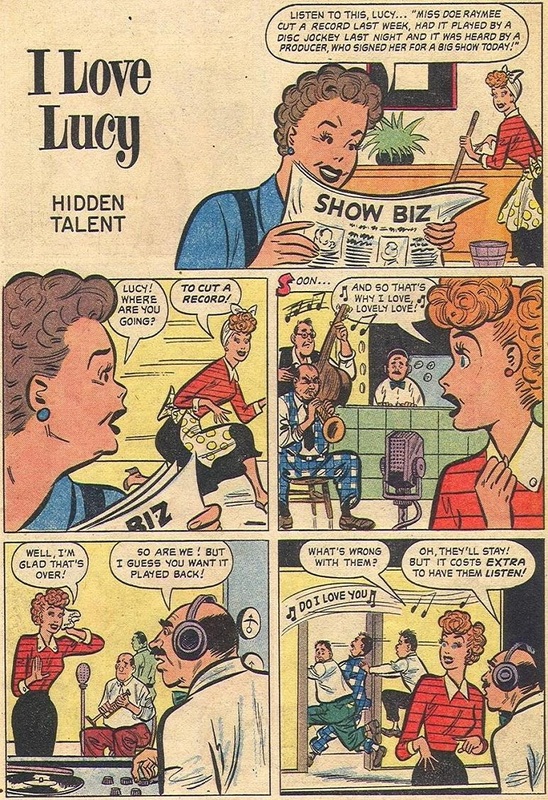 So secure in the knowledge that I Love Lucy was the most popular show in America with a broad appeal that spread to the comics, I set out to find out if there was ever a newspaper strip. There is very little information out there but there definitely was a strip. Few images still exist but I found one. I hope you were able to read the text atop the comic. It said “Hear the Comic Weekly man read the comics Sunday KOMO, 8:30 am.” What a slice of Americana- someone actually read the comic strips over the radio! ← “Criminals are a cowardly and superstitious lot.” Kinda stupid too. Interesting how he sleeps in his pajamas, while she sleeps in her long skirt, blouse, and high-heeled shoes… I’d think that’s kind of uncomfortable. Nice catch. That’s pretty typical 1950’s TV, I think. I’ve never seen this before, thanks for sharing! There is another very rare one this week too. 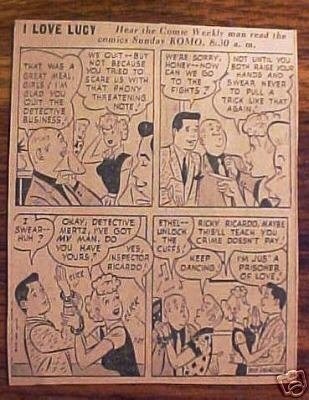 One of the best comic strips ever made. Love it! !